Welcome to the Air conditioning & Heating group of SmartGuy.com, Feel free to interact with other Professionals from across the world. You can find professionals, find deals on services, find professionals who might barter, or simple post questions, comments, or suggestions. 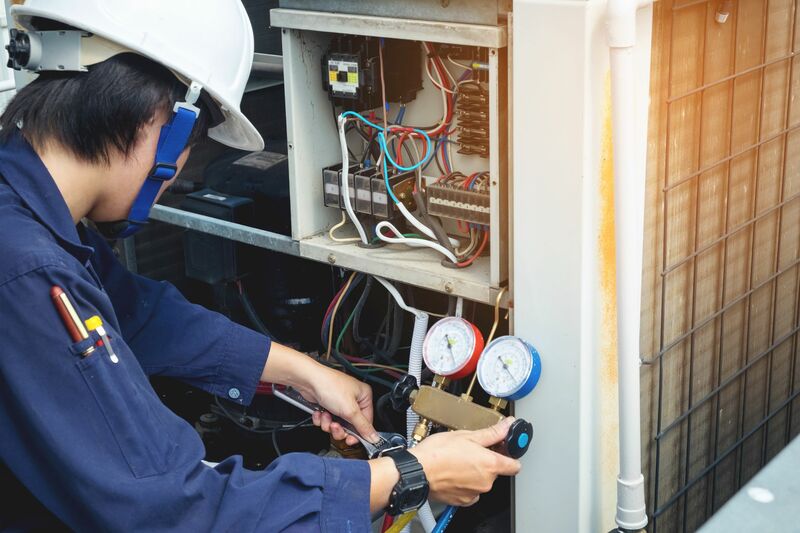 Heating, air conditioning, and refrigeration contractors or mechanics and installers, often referred to as HVAC technicians, work on heating, ventilation, cooling, and refrigeration systems that control the air quality in many types of buildings. They mostly work in residential homes, schools, hospitals, office buildings, or factories. Their worksites may be very hot or cold because the heating and cooling system they must repair is broken. Working in cramped spaces is common.